DesignPhiladelphia kicks off its seventh year with 11 days of non-stop programming championing design October 13 – 23, 2011, in partnership with the University of the Arts. One of the nation’s largest design events, DesignPhiladelphia unites the region’s dynamic creative community by bringing together individuals and organizations from every design discipline, placing a spotlight on Philadelphia’s rich design history and creative industries at work. Running in conjunction with National Design Week, the 2011 program will showcase over 450 designers and creative thinkers in more than 150 public events at unique venues and spaces across Philadelphia. DesignPhiladelphia emerged in 2005 to make the case that innovation and design is central to a city’s economic, social and educational growth. Read the full press release announcing the 2011 DesignPhiladelphia celebration. Learn more about DesignPhiladelphia’s opening night celebration on Thursday, October 1. DesignPhiladelphia will present the inaugural Design Champion Award to Philadelphia Mayor Michael A. Nutter at the official Kick-Off Party at The Liao Collection; Gallery openings along 11th Street to follow at Vox Populi, Grizzly Grizzly Gallery and The Action Mill; After-party at The Trestle Inn. Read the media advisory for the panel discussion, Gray Area: Provocations on the Future of Preservation, Wednesday, October 19 at the Center for Architecture. For more program tips, view a short list of DesignPhiladelphia events covering all design disciplines. 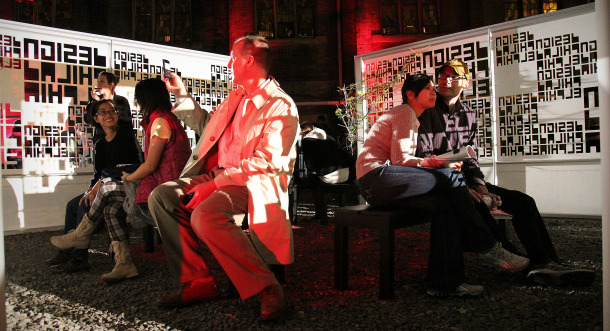 PHILADELPHIA – DesignPhiladelphia kicks off its seventh year with 11 days of non-stop programming championing design October 13 – 23, 2011, in partnership with the University of the Arts.